A new political action committee has made its mission to guard parents’ rights to opt out of immunization requirements — whether that means targeting legislators who seek to close non-medical exemptions or pushing for policies that otherwise protect parents who choose not to vaccinate. In this year's primary elections, that meant going after state Rep. Jason Villalba, the Dallas Republican who filed the bill. When he filed the bill last session, Villalba, a father of three, said he expected it to be non-controversial. Like other lawmakers around the country who have pushed to re-examine vaccine laws — including in California and Vermont, which last year successfully limited provisions allowing non-medical exemptions — he was motivated by recent outbreaks of diseases like measles and whooping cough that medical officials attributed to growing numbers of parents choosing not to vaccinate their children. 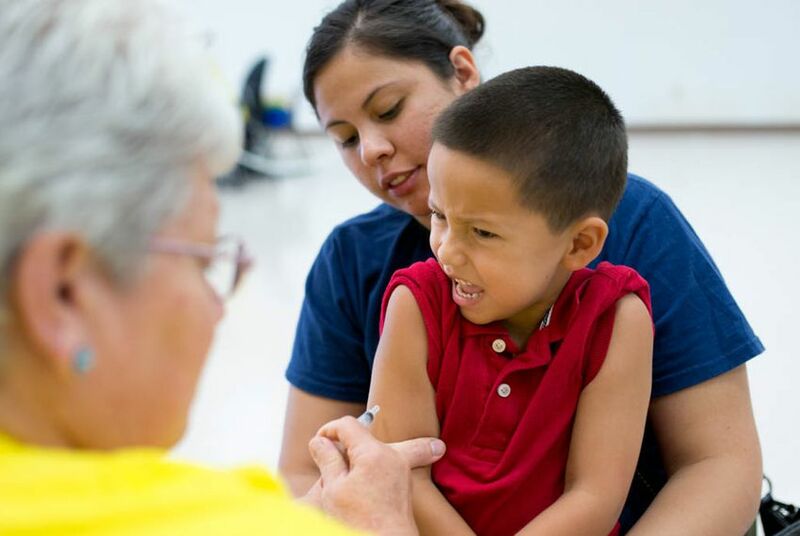 About 38,000 — or 0.75 percent of Texas students — received non-medical exemptions from at least one vaccine during the 2013-2014 school year. While that figure — which includes students at both public and accredited private schools — is still below the national average of 1.8 percent, it has soared from just under 3,000 — or 0.09 percent — in 2004. If parents wish to opt out of school immunization requirements, they must file a what's known as a "conscientious exemption" form with their child's school at the start of the year. All but two states — West Virginia and Mississippi — grant exemptions from school immunization requirements on religious grounds. Texas is among 18 that also waive requirements because of personal beliefs, according to the National Conference of State Legislatures. Under Villalba's initial measure, Texas would have only allowed students to receive exemptions for medical reasons, such as an allergic reaction or in instances where a weakened immune system could cause health complications. "In my opinion, there are no good, valid reasons for deferring vaccinations or not vaccinating based on religion or philosophical objection," said Dr. Jason Terk, a pediatrician at Cook Children's Hospital in Keller. "It is my firm conclusion that vaccines and the benefit they provide to individuals and the rest of the public is well founded." Terk said low immunization rates brought an undeniable risk of otherwise preventable deadly disease outbreaks. "That is not a theoretical argument; that is something that we’ve seen occur in the parts of U.S. where the frequency of non-vaccination is significantly higher, and those locales are precisely the places where we’ve seen outbreaks," he said. But for parents like Schlegel-Polvado, who have children they believe have been harmed by vaccines, any proposal to end exemptions is a battle call. “You come after parental rights, we are going to fight back,” said Schlegel-Polvado, who discontinued vaccinating her younger two children after concluding that a childhood DTaP immunization led to brain damage in her now-15-year-old daughter, Ashlyn. Texas has long been home to a small but robust community of anti-vaccine activists, including Andrew Wakefield, the author of a now-retracted 1998 study linking autism to the routine measles, mumps, and rubella vaccine that helped launch the movement. Wakefield, who lost his medical license in 2010 and lives in Austin, most recently directed the documentary "Vaxxed," which was pulled from the Tribeca Film Festival in March following outcry from the medical community. “In the political cycle, this is very much a one-issue determinant for who people sometimes choose to vote for. This something that is that strong for families. It is the health and well-being of their children,” said Dawn Richardson, who founded the advocacy group Parents Requesting Open Vaccine Education in 1997 and has long been a prominent voice opposing vaccine requirements in the state. Richardson said Texans For Vaccine Choice, which is unaffiliated with her group, represented a new generation of parents who were waking up to the ill effects of vaccines.